The Tata Nano which has been seeing dismal sales figures as also a pathetic response from the car buying public so far has finally got some of its pride back. The Tata Nano has started garnering sales figures close to the peak figures that it used to garner earlier. It was reported in some newspaper earlier that the Tata Motors had sold about 8707 units of the small car last month. The sales for the Nano had taken a big hit last year during September-November period and this is the reason why company had to resort to aggressive sales measures so that the car can bring in the volumes expected out of it. Some of the strategies involved were displaying the car at Big Bazaar outlets and also providing upto 90% finance on purchase of the Nano. Buyers had shied away from this very capable small car due to the reason that it had some niggling quality issues as also the images and reports of the car going up in flames in some cities. Tata Motors were quick to address this issues by giving the Nano a 4 years/60,000 kms warranty as also fixing the burning issues. In a bid to attract new customers, the company is also offering a maintenance contract at an attractive price of Rs 99 each month. 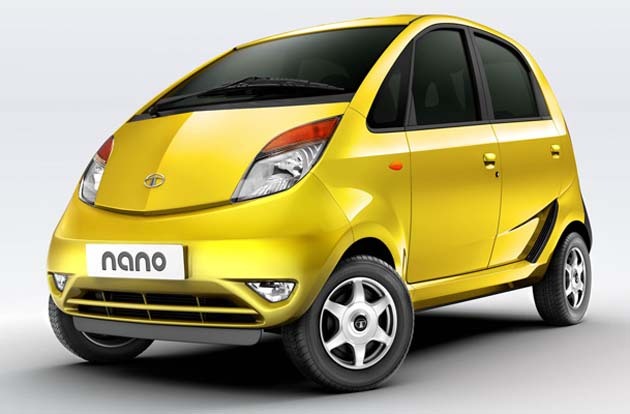 Gauging the positive public response, Tata Motors are thinking of increasing the production capacity of the Tata Nano. The current capacity of 10,000 units each month in the Sanand plant is ordered to be increased to its full capacity of 2.75 lakh cars every year. Most of the bikers are also now heating up to the prospect of owning a new Tata Nano for the price of a high end bike.